- Effective dispersion capability. Reduces specks level. We Supply RISO ink Master Roll. 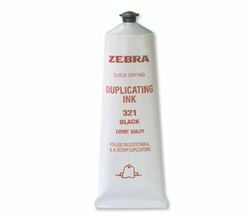 Catering to the requirements of our clients, we are involved in offering Digital Duplicator Ink. Proven reversible hydrocolloid gel with good elasticity. Ideal for partial denture work.